Just north west of Point Loma and minutes from Downtown, Ocean Beach is one of the most casual, laid back and relax communities in San Diego. In Ocean Beach you can find condos and townhomes that offer ocean views, and are on or near the beach. 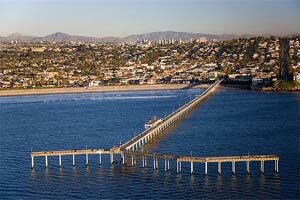 On the market for a home, condo, townhome or vacation property in San Diego’s Ocean Beach? Click the button below to see all currently listed Ocean Beach homes and condos for sale. Prices on currently available condos for sale in Ocean Beach for a 2 bedroom condo start from the low $300,000. Call us today at (619) 921-0284 for more information and availability on Ocean Beach condos for sale. Ocean Beach condo communities include Sunset Cliffs, Casa Santa Cruz Condos, Bermuda, The Beach House, Del Monte, Keystone Point, Vantage Point, Loma Alta Villas, Puerta Del Sol, Sans Souci and Casa Serena. Call us with any questions on Ocean Beach or information and current availability on Ocean Beach condos for sale!